James Cameron"s The Terminator (1984) movie trailer looks just as great as you would imagine for this timeless movie. Combine action and sci-fi into a film that is always entertaining no matter how many times you watch it. Arnold Schwarzenegger, Linda Hamilton, and Michael Biehn star in The Terminator. The Terminator is a 1984 American science fiction action film directed by James Cameron, co-written by Cameron, Gale Anne Hurd and William Wisher Jr. and starring Arnold Schwarzenegger, Michael Biehn, and Linda Hamilton. The film was produced by Hemdale Film Corporation and distributed by Orion Pictures, and filmed in Los Angeles. Schwarzenegger plays the Terminator, a cyborg assassin sent back in time from the year 2029 to 1984 to kill Sarah Connor, played by Hamilton. Biehn plays Kyle Reese, a soldier from the future sent back in time to protect Sarah. 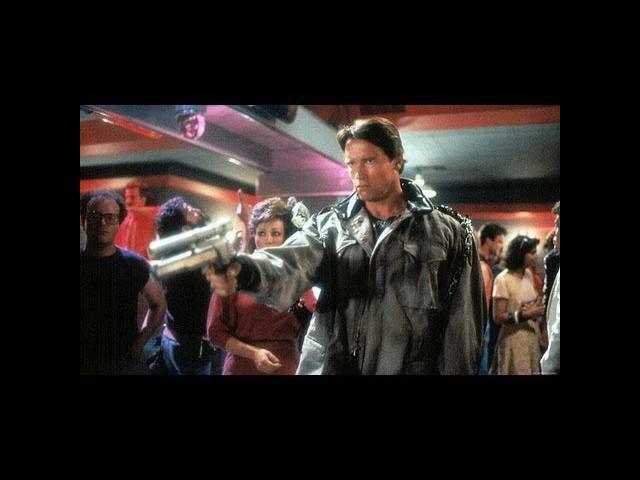 Though not expected to be either a commercial or critical success, The Terminator topped the American box office for two weeks and helped launch the film career of Cameron and solidify that of Schwarzenegger. Three sequels have been produced: Terminator 2: Judgment Day (1991), Terminator 3: Rise of the Machines (2003), and Terminator Salvation (2009), as well as a television series, Terminator: The Sarah Connor Chronicles (2008--2009). In 2008, The Terminator was selected by the Library of Congress for preservation in the United States National Film Registry, being deemed "culturally, historically, or aesthetically significant."